Is going to be a whirlwind! 1. 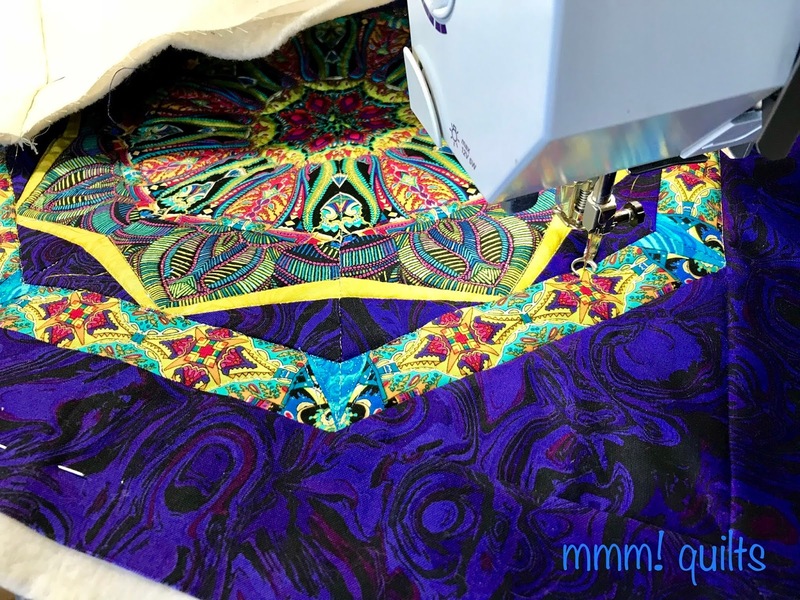 The Benartex Blog Hop featuring Wonderlust by Paula Nadelstern starts today with an interview with Paula and closer look at these fabulous fabrics, and runs this week with projects using this incredibly gorgeous fabric. This is fabric I want to lick, quite literally. My turn is Wednesday. 3. 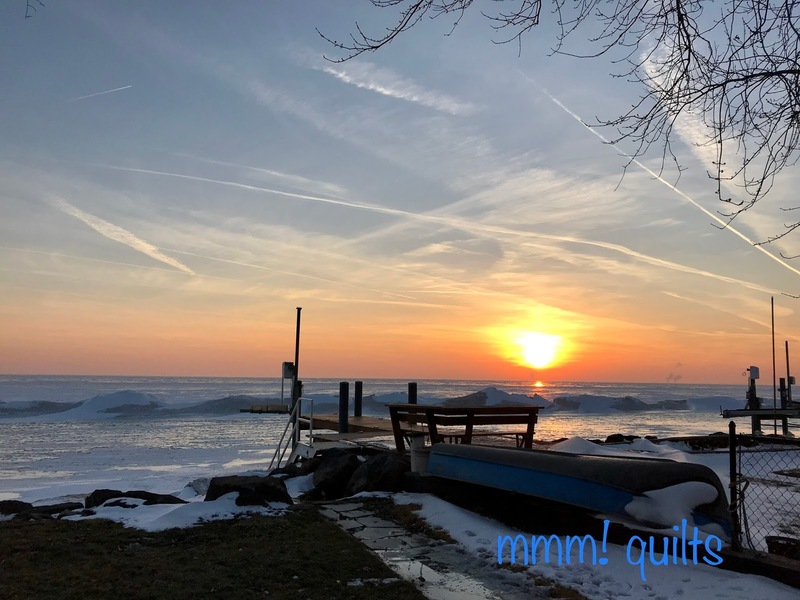 Thursday was scheduled to be Throwback Thursday, a linky I am hosting where we photograph and tell the story, because every quilt has one, behind quilts from our quilty past, pre-blogging ones. 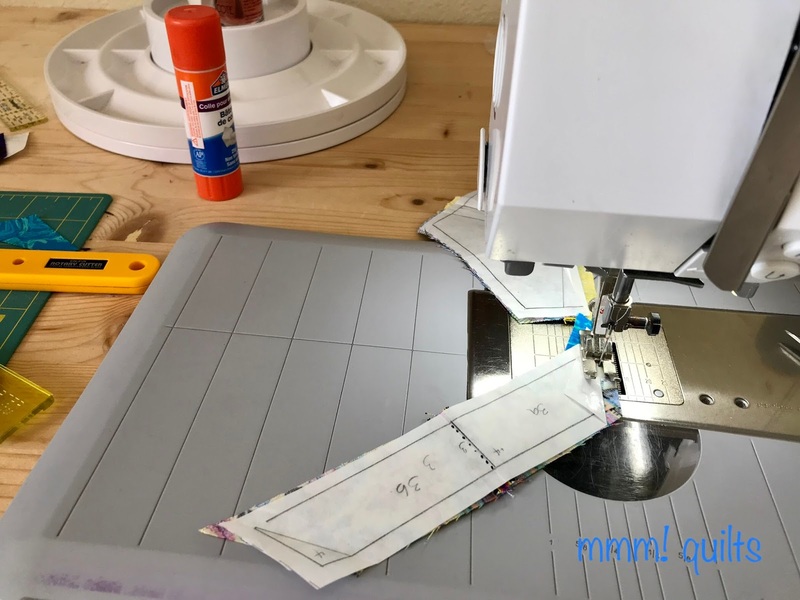 If you want to revisit an old blog post, then Val at Val's Quilting Studio has a great linky party called Tuesday Archives, for that. Because Thursday is the opening of the NQBH, I am moving TBT, Throwback Thursday, to Friday this month. 4. 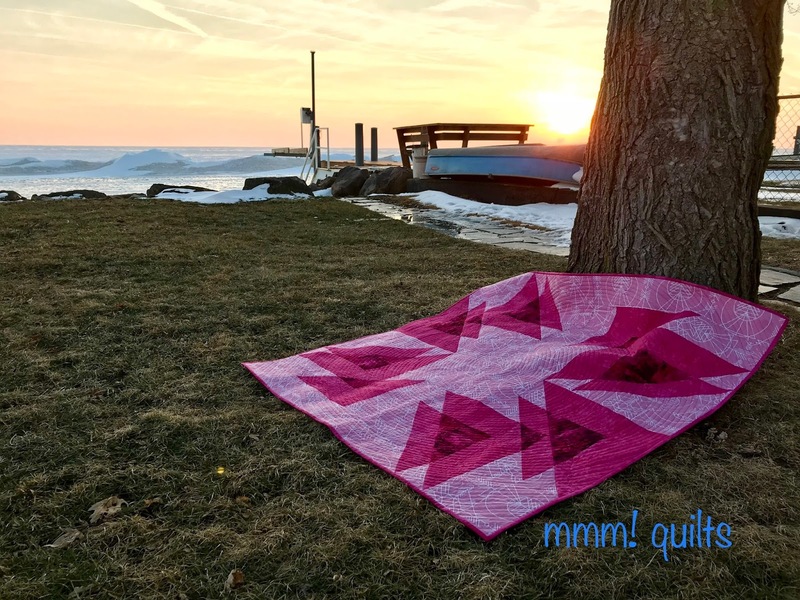 Thursday was also my planned date (without properly consulting my planner, I have since realized), to begin the second annual 30 Quilt Designs Challenge. Like how could three major events all fall on the same day?! So this is being started on Saturday, Feb. 3! Instead of ending April 15, it will now end April 17. That allows 10.5 weeks so roughly three designs per week, a nice pace. There are prizes! 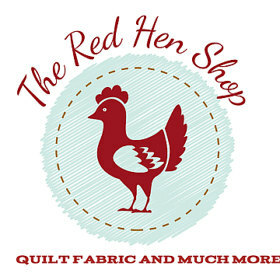 I am excited to announce that Melody, owner of The Red Hen Shop, who sponsored the challenge last year; such a lovely surprise for her to email me about it, is again sponsoring this year's challenge. 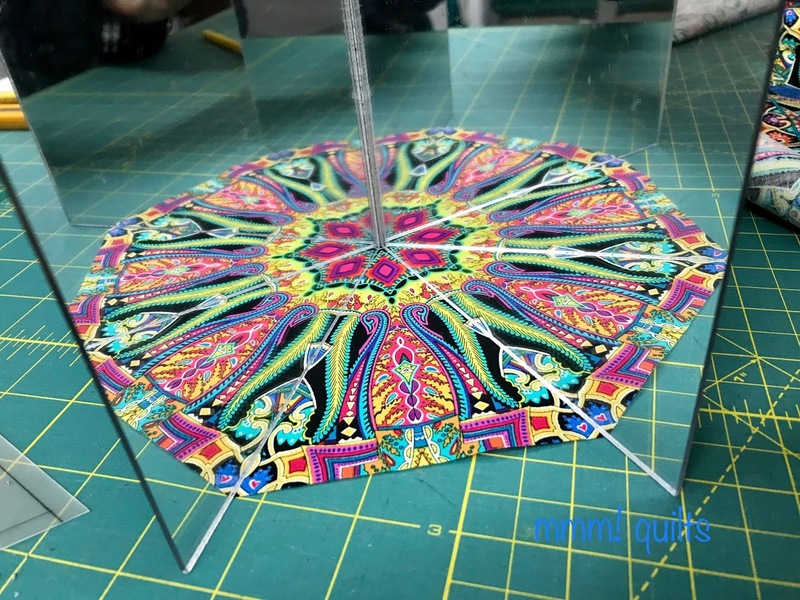 She is offering three prizes which will be drawn around the 10, 20, and final 30 designs marks. The first two are $15 gift certificates and the grand prize is a $50 gift certificate! Sweet! Melody's brick and mortar store is in Iowa, USA. I am also excited that I have a second sponsor for this year's challenge. 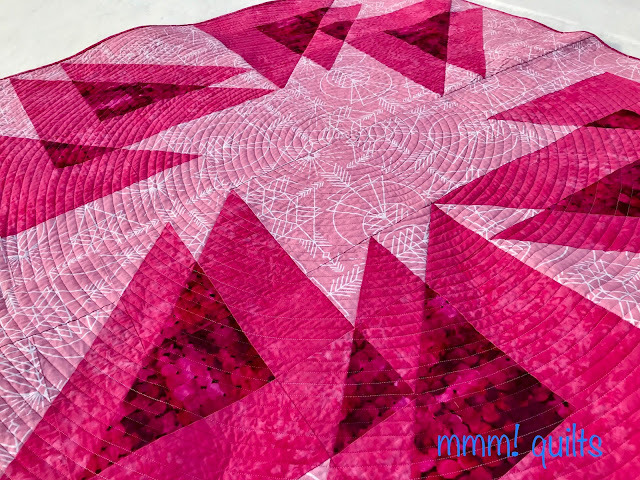 Darla at Clinton Modern Creative a Saskatchewan, Canada, online store, contacted me about being a sponsor for the New Quilt Bloggers Hop. I later asked her if she'd like to sponsor this challenge as well, and she said yes! Cool! She'll be offering a $25 prize as another one of the grand prize draws. 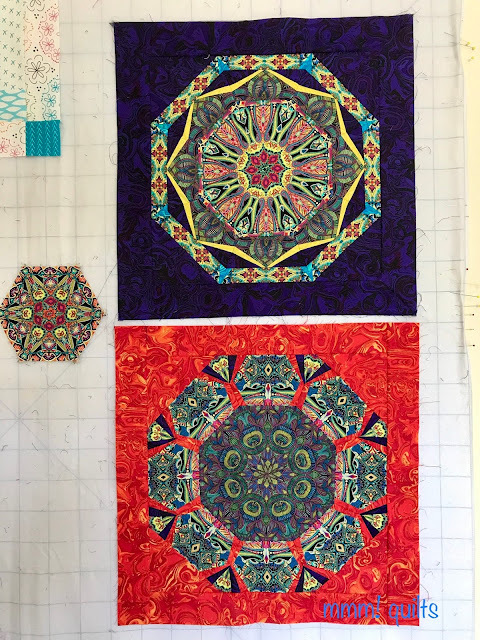 I'll post more details about the stores and about the challenge which runs on Instagram on Saturday when the challenge begins, but basically it's where you design a block or a quilt, (if it's a block then you put a few together so we see what a quilt may look like). You add it to the hashtag which I'll set up for this year's challenge, on Instagram. More details, as I said, on Saturday. 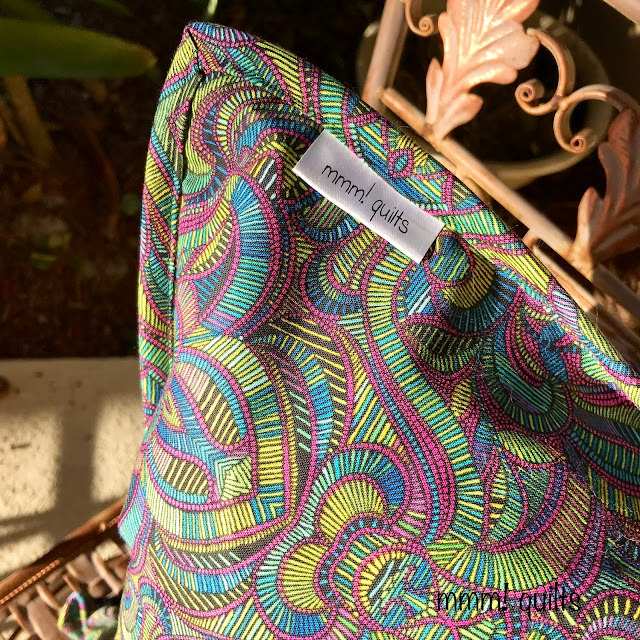 I hope you'll check out these two fabulous stores, and maybe show them some quilty love; note that I am not affiliated with either. 5. 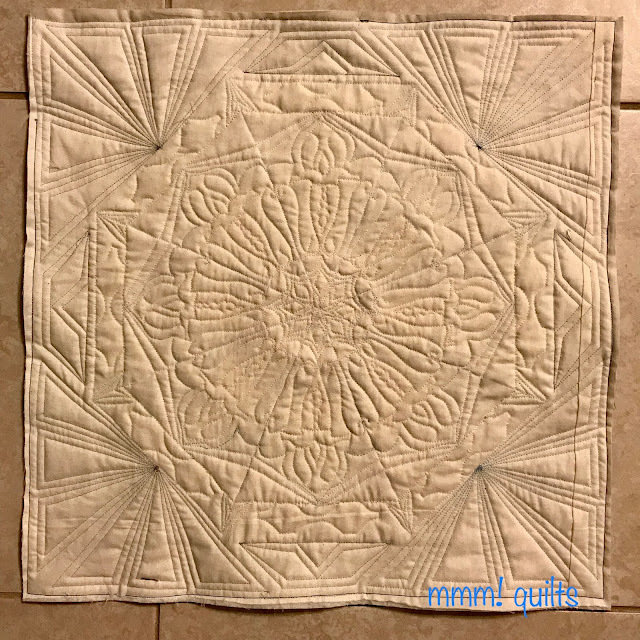 I finally hit upon a project for the RSC2018 Challenge with Angela at soscrappy. 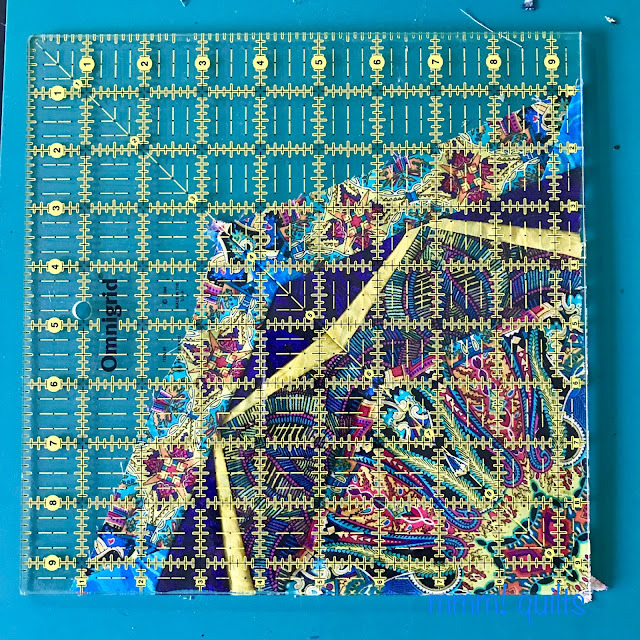 My 2.5" squares tray has been getting rather full, so I wanted to do something with those. 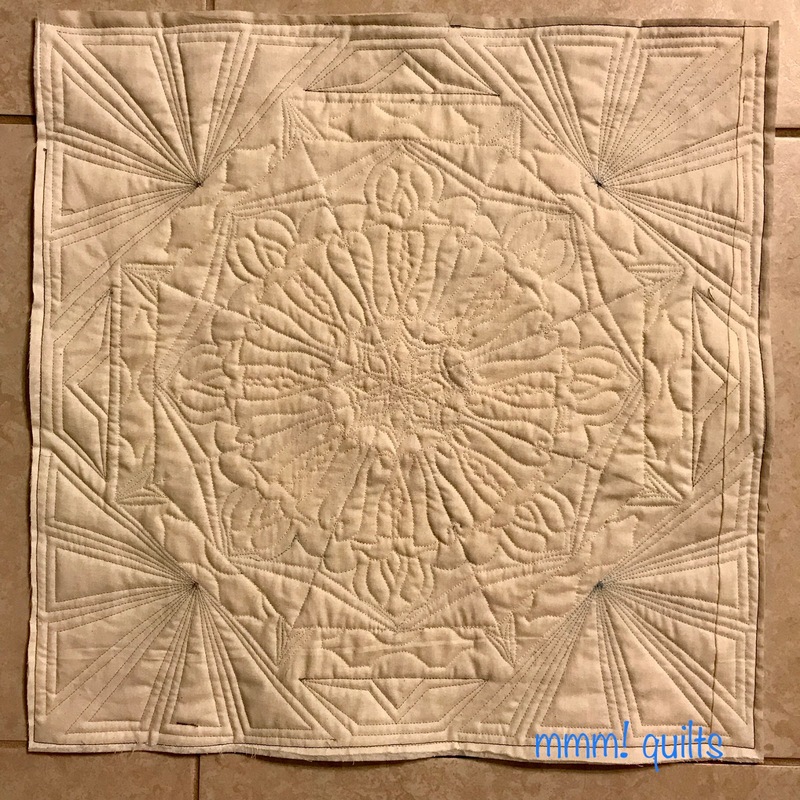 I saw Ariane's quilt top all finished on Instagram and knew that was IT! 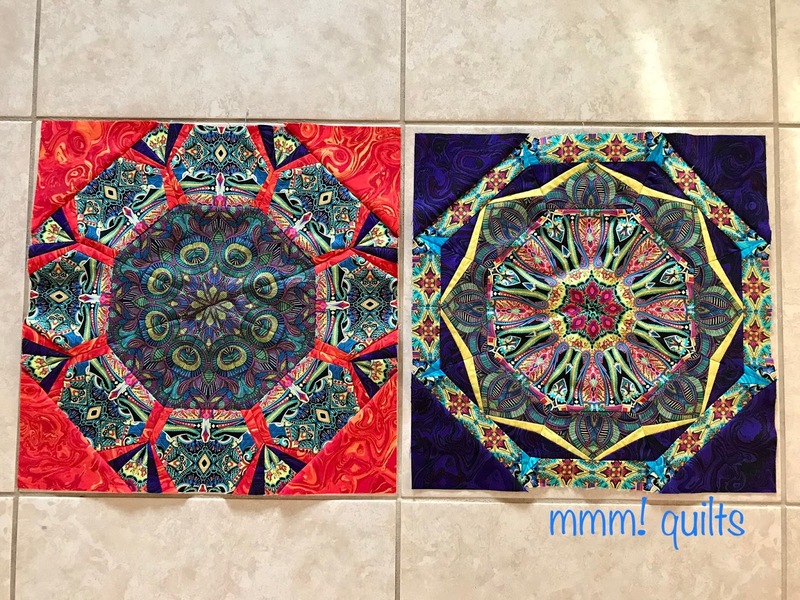 Between piecing my project for Wonderlust, I made my two January blocks. 6. 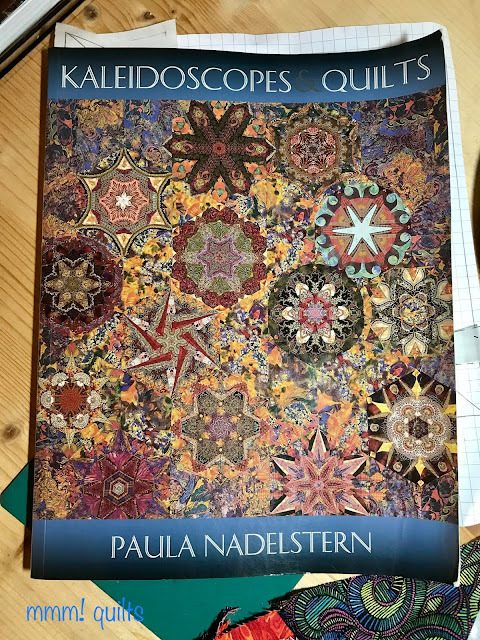 One other note is a follow-up to a previous announcement about Postcard from Sweden, which begins February 14. 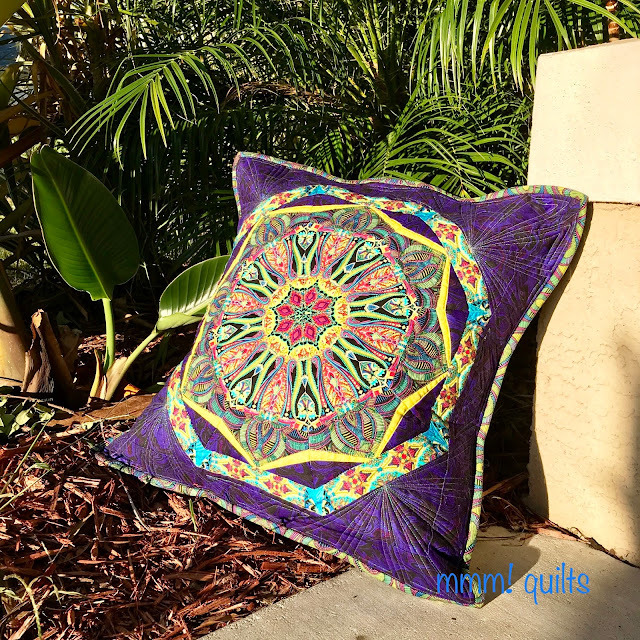 I am blown away by the interest that has ensued! I got an email from Tayva at StitchStashDiva, saying she'd tracked me down, because she'd sold five kits for the quilt that day alone, so she knew someone must be hosting a QAL. 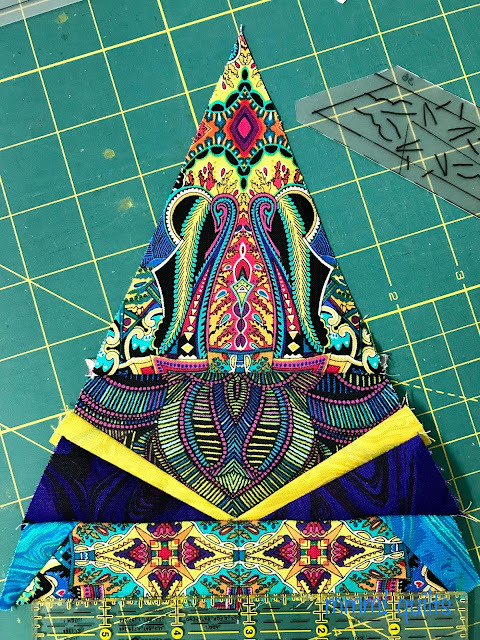 😀 Well, I am ecstatic to announce that I am now going to have a grand prize for this QAL!! She is offering a quilt backing and binding set to one lucky winner of a finished quilt, free shipping! 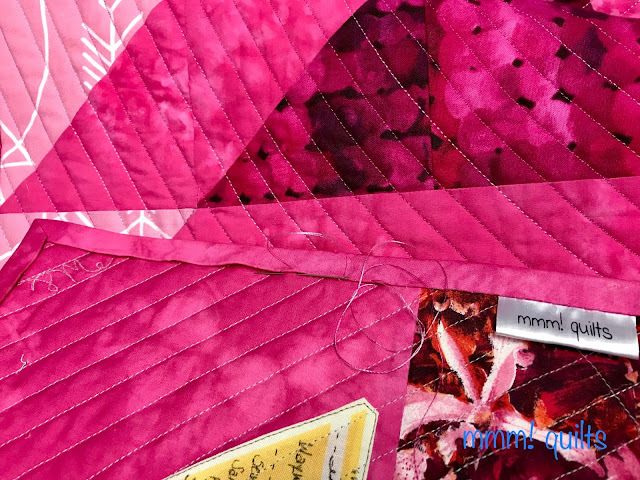 I am tickled all kinds of pink, well all those in the Postcard quilt for sure!! 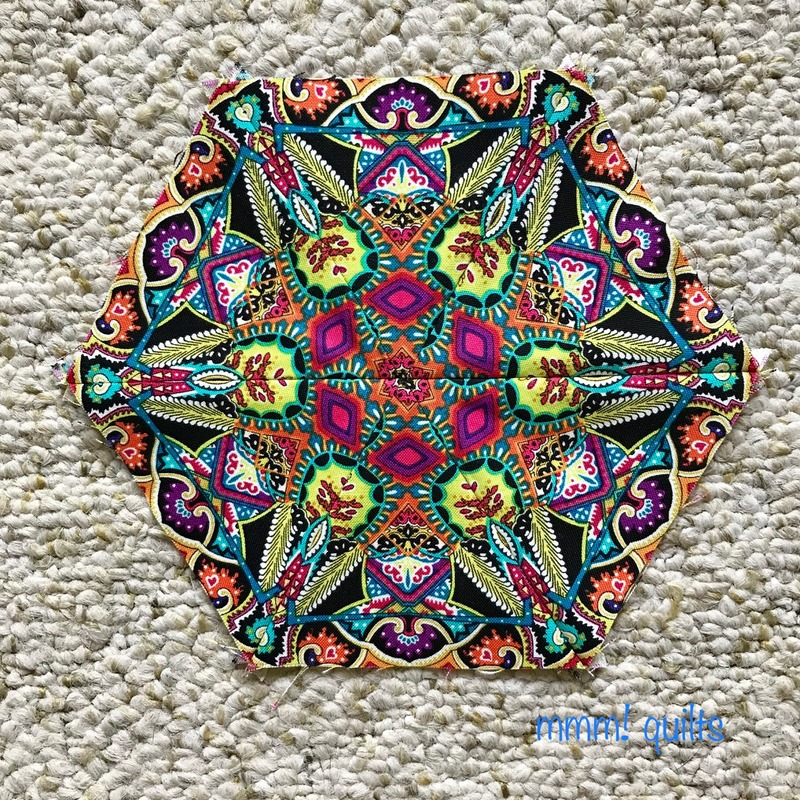 If you are now caving, and thinking of joining in, go here to snag a kit from Tayva's shop. The price is just excellent, and note that you'll qualify for free shipping if your order is $60 or over... I know, I'm a baaaad enabler... 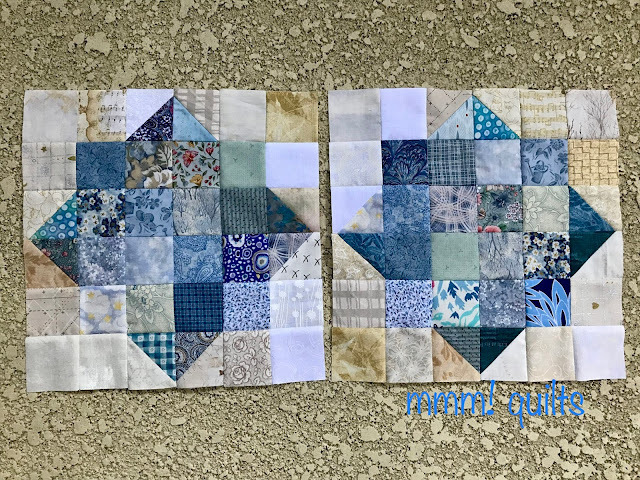 If her kits run out, I got several half yard cuts from Missouri Star (no affiliation) and split them with my good friend Helen of Midget Gem Quilts. They arrived very quickly too. All right that's it for today. I apologize in advance, but I will not be on top of responding to comments unless it is of a more urgent nature, as I have the Wonderlust quilt to finish and write up for Wednesday.😉 As Beth says, I am crushing on these fabrics, hard, and hoping to do them justice. I am also crushing on having all these wonderful sponsors, woo hoo! Welcome to the first DREAMi! link up for 2018! If you're new to my blog and have no clue what a DREAMi! is, it's short for DRop Everything And Make it! I'm sure you've have moments like those where something catches your eye, be it off someone else's blog, in a store, off Pinterest, at a guild meeting, in a magazine, in your email, on YouTube, in short any source, and you feel totally so consumed by that fabulous project that you have to push your current project, heck forget meals and housework, and make that sucker, and make it now, not stopping until it is done and out of your head! It happens to me a lot. 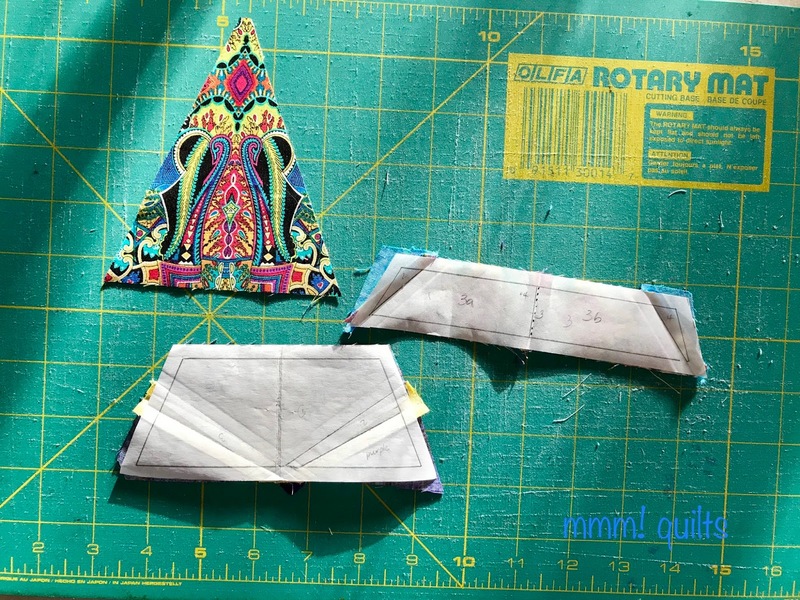 But this month it didn't, although there are a certain two projects, one on the desktop of my laptop that stares at me each time I open the computer, the other in my graph paper design notebook, both enticing me to throw caution to the wind and make them. I know I am going to succumb about mid-week when this current deadline happens, which is the reason I'm being rather focused, and the current project will be done and blogged about for Thursday (hint!). 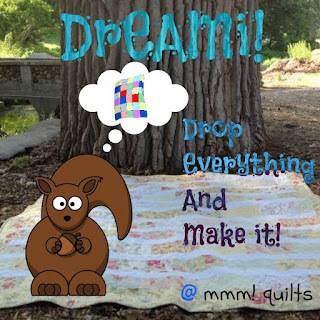 If you post on Instagram, use the hashtag #dreamimoment and tag me, @mmmquilts so I'll be sure to see it! If you have a finish, I hosted TGIFF yesterday, and the link remains open until midnight tonight, so be sure to link that up. You can also see one of the two latest quilts I finished (the other that had to get done before we left for Florida is here) that made me put my quilty blinders on this past month. January 27 - you are here! How's that for lots of 'f' words?! I am so pleased to show you all my Wayward Transparency finish, and to welcome everyone, new readers and regular ones, to TGIFF, coming to you from Kingsville, Ontario, Canada, and from North Port, Florida, USA. (explanation to follow) This is my first time hosting this linky party, so I am pretty excited! 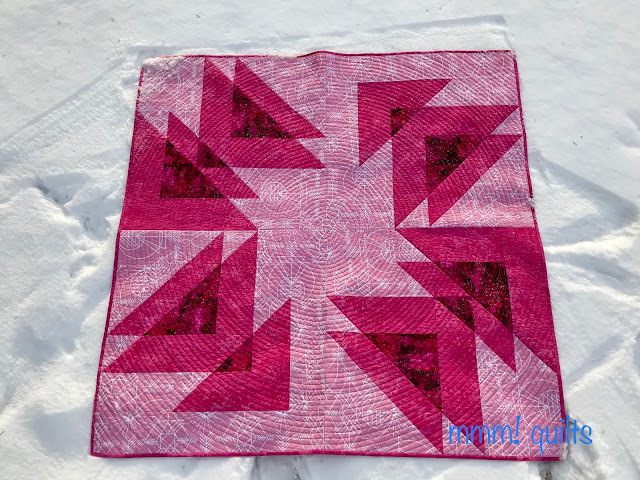 If you aren't familiar with TGIFF, it's a Friday finish linky party where you can showcase your finished quilt. 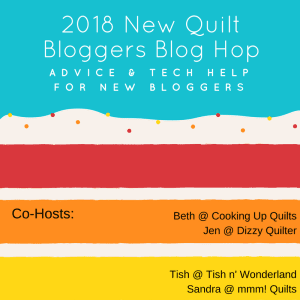 Various bloggers host each week. 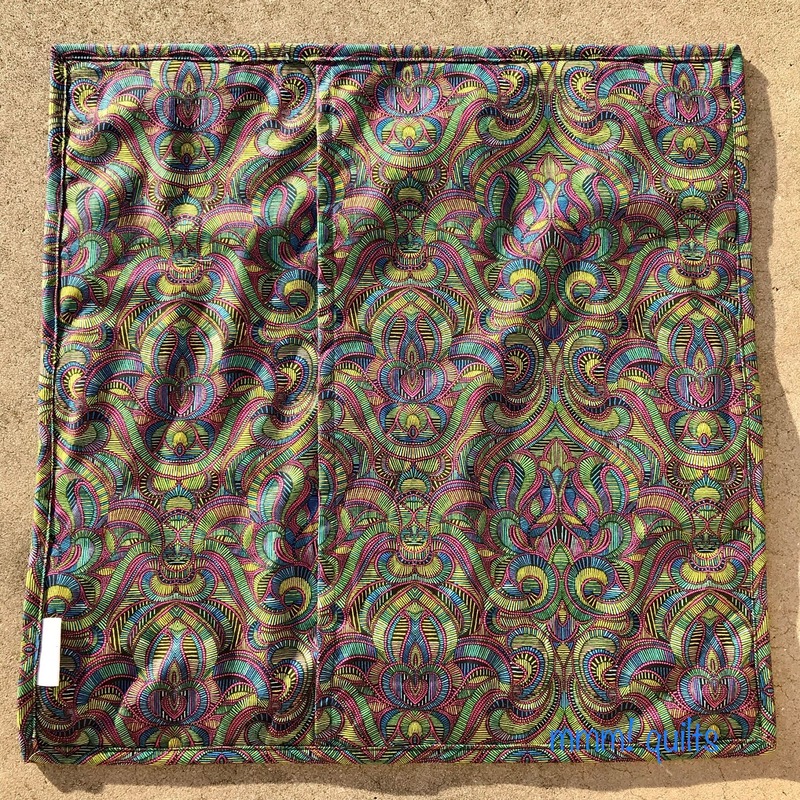 Interested in hosting? Visit the info page here; it's super-easy to do. All right, on with things... I wasn't sure about what layout to do; I didn't want borders, and the layouts with points in, or points out, or two in/two out, didn't sit right with me. When Tish showed me a layout she'd come up with, ding!ding!ding! the lightbulb went on and I knew this was it. 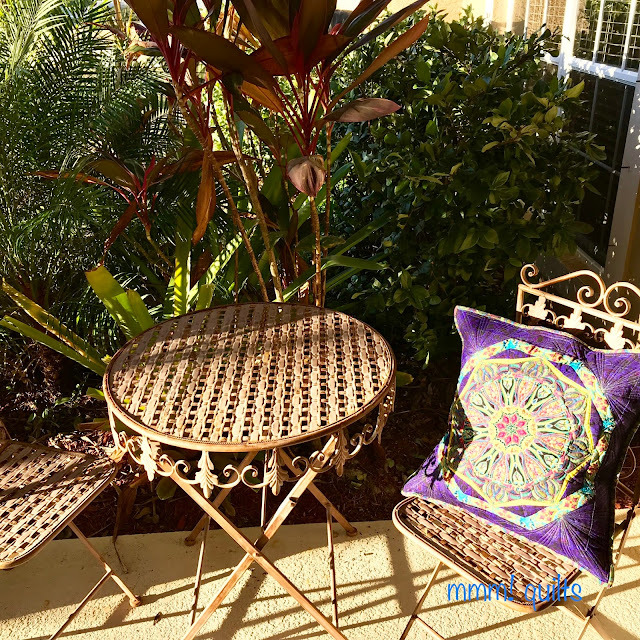 Late afternoon light to capture that texture! I haven't washed it yet, so it's bound to crinkle up more! I love watching birds, have done for many years. When we lived in Alberta, we were on the migratory path for sandhill cranes. They fly WAY HIGH up; often so high it takes a while to find them, although you can hear their distinct calls. They will circle, waiting for an updraft, which, when they catch, flings them off south, much like a kid shoots out of a waterslide. Here in southern Ontario, I love watching turkey vultures float on the updrafts, lazily flapping their albatross-worthy wings every once in awhile, kind of like me floating in a pool, waving my arms in an 's' motion every once in a while. 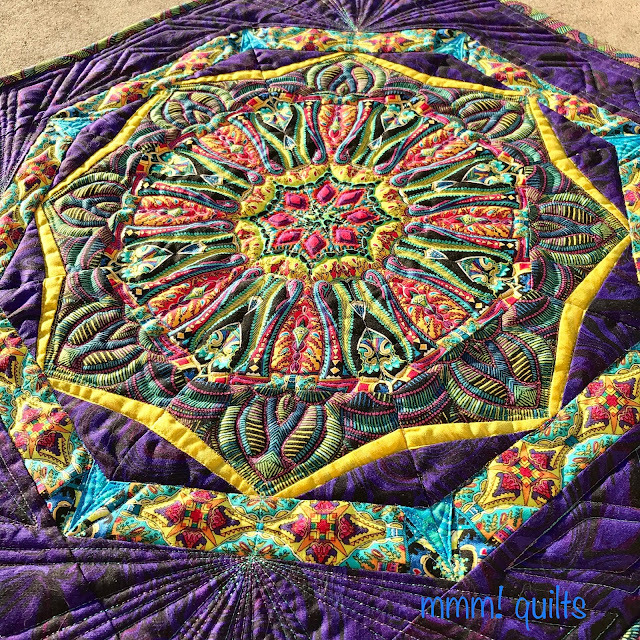 So the circular movement of the 'geese' I see in this quilt felt right. 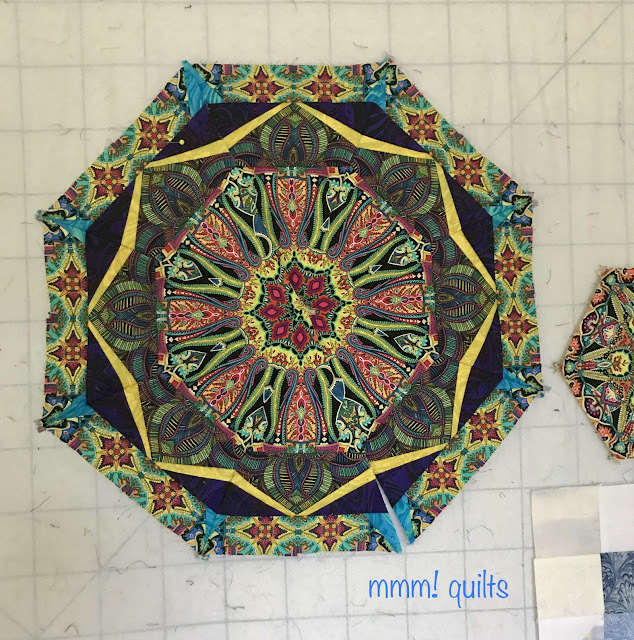 Also feeling right was knowing I'd do a spiral quilting design, something I've not done over an entire quilt top, kind of like ripples made by tossing a pebble into some water. After that, I switched to my walking foot, using the edge of it as my 1/2" guide. 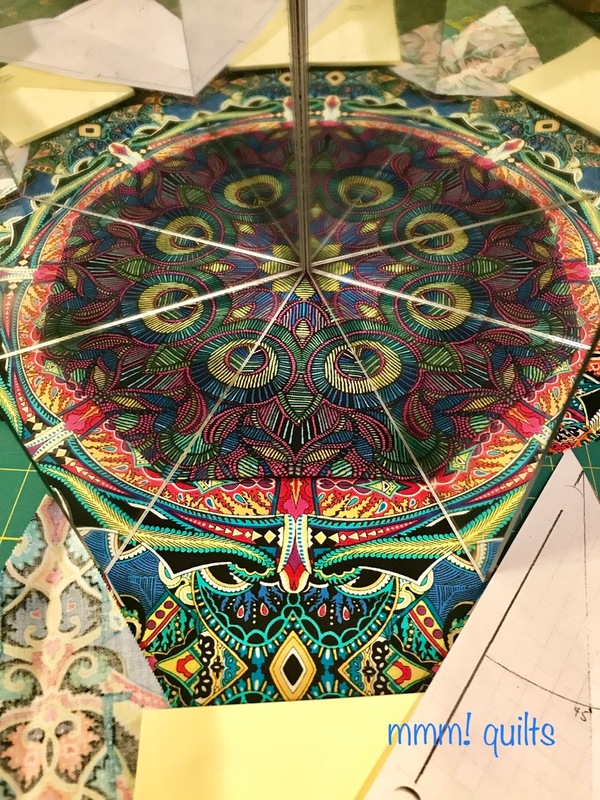 Going around in circles did take a lot longer than I'd figured! I love that the circle and triangles in the main background fabric can be found in the piecing and quilting. 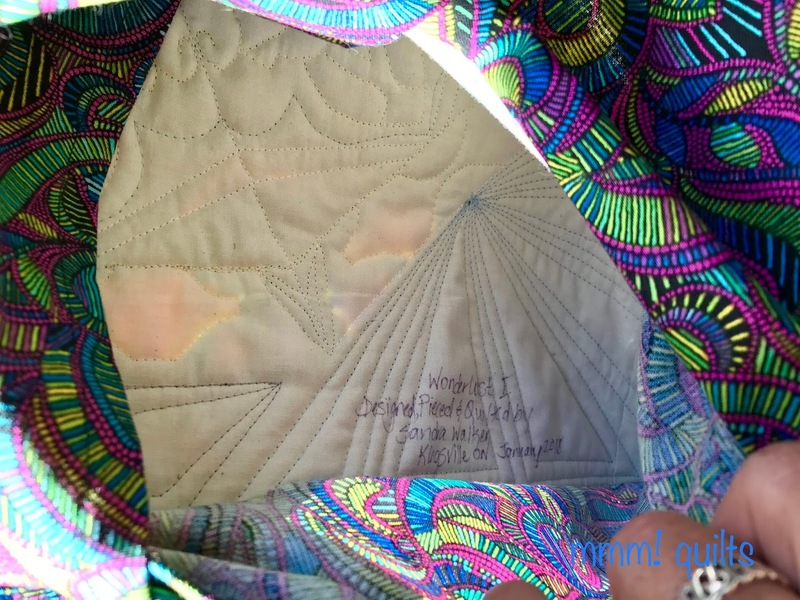 It not only gives the quilt more movement, it also gives great texture. TIP: I found about half way through the spiral quilting, that the quilt was starting to get a bit distorted from continually quilting in the same direction. 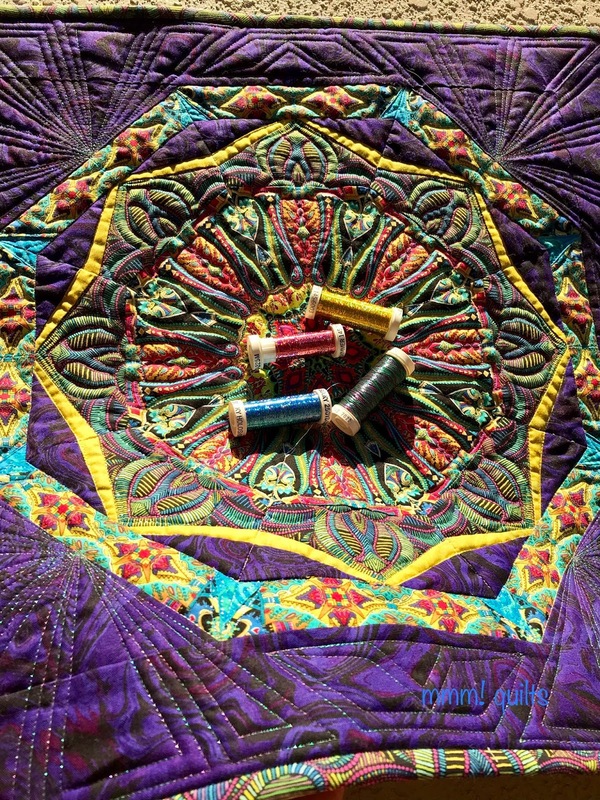 I hadn't done something I always do on quilts, stitch in the ditch to stabilize. 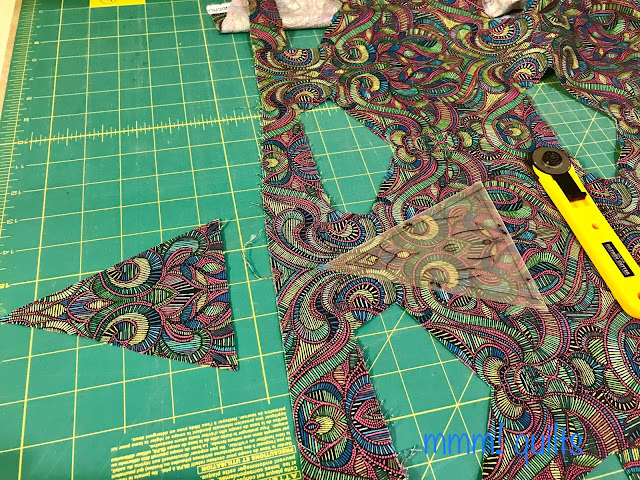 I'd figured with this dense of quilting, I wouldn't need to... Ditch-stitching also helps to prevent ripples on the back, a problem I read that a lot of quilters who pin-baste have. I don't pin baste anymore; it's glue basting all the way baby, never a problem since 1998 or '99 when I first had my quilting life changed by it. 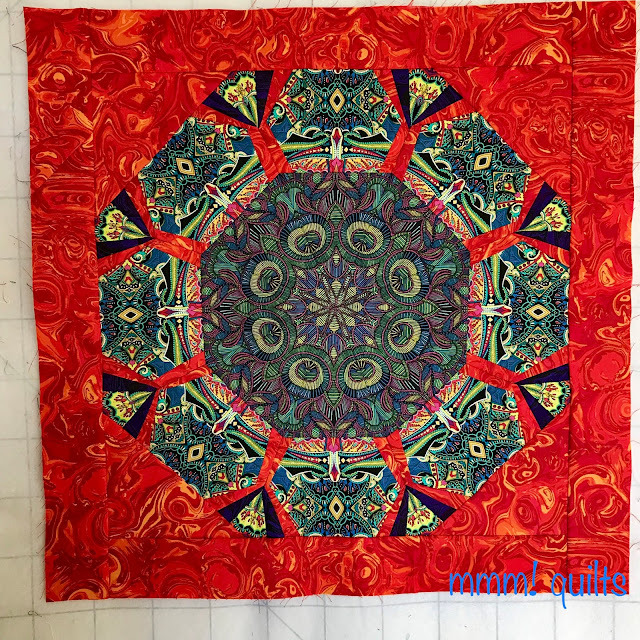 However, this quilt, though glue-basted, was getting distorted. 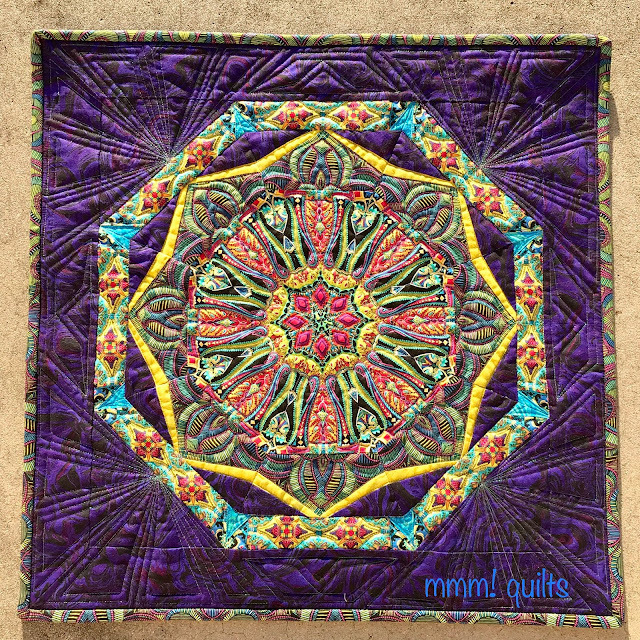 So I stopped spiralling, and ditch-stitched along both central axes (plural of axis; I checked! 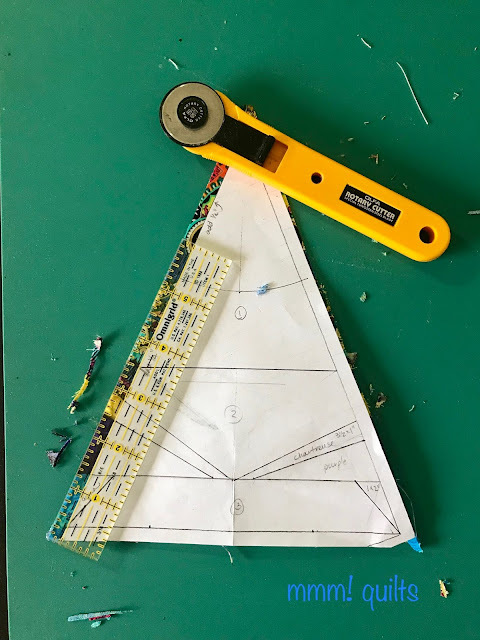 ), and then added more ditched lines along the largest long edge of two opposing triangles, and then went back to spiralling. It blends right in; you don't see these lines on the front or even on the back as the spiral takes front and centre. This is also why I am a press-to-one-side, usually the dark side, girl. The ditch-stitching will disappear in the 'valley' of that tiny ridge since you stitch on the low side of it. 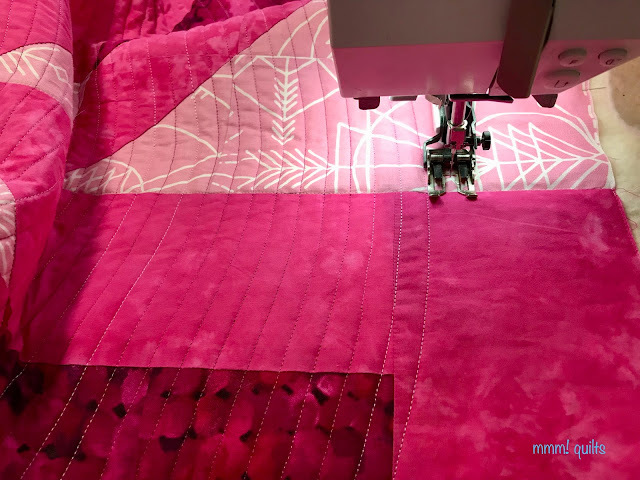 With seams pressed open, your ditch-stitching falls between the fabrics, not stabilizing the top at all, because your stitching is on top of the threads holding the two fabrics together. 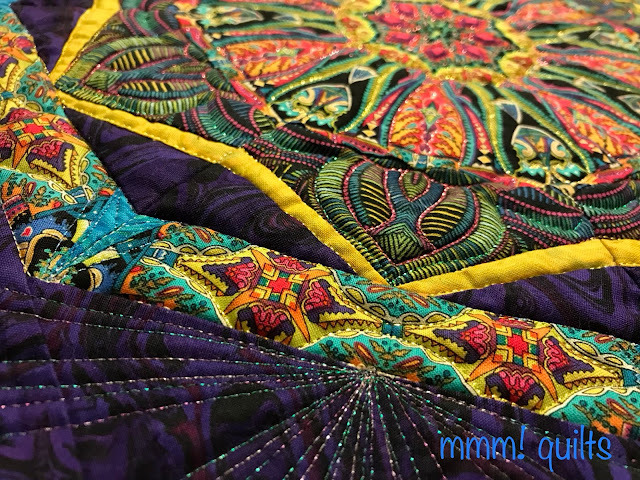 Hope that makes sense, and hope that helps to stabilize your quilt. 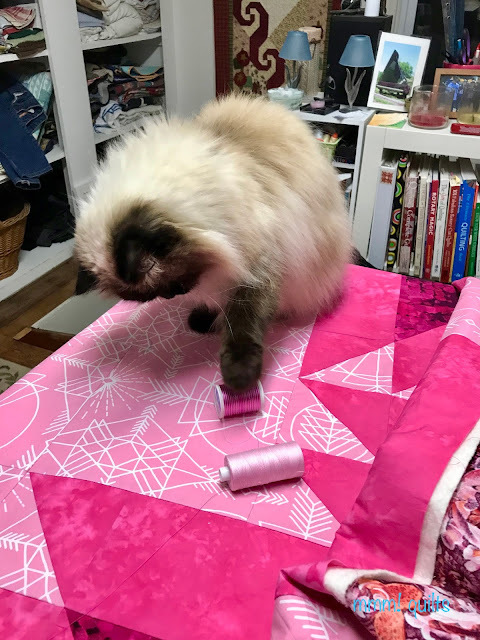 I still plan to wash and block this quilt once we're back home. 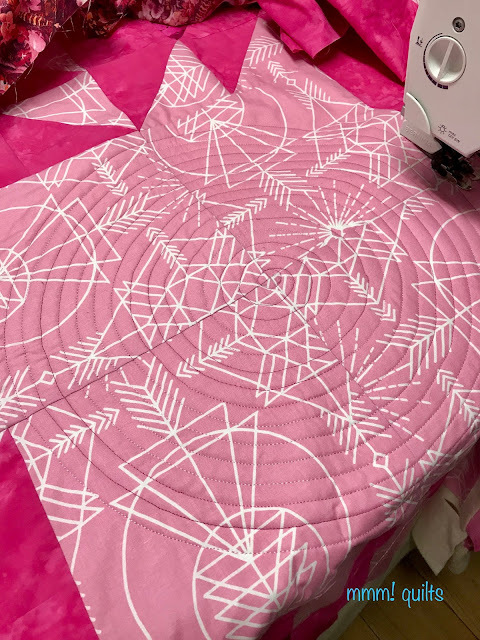 Notice more of the circles motif in the deepest pink? 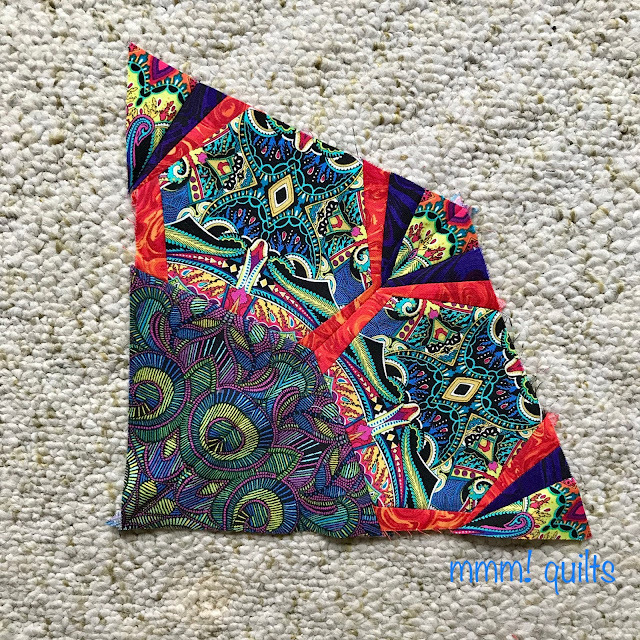 That's all that's left of Masterpiece Mixers by Paintbrush Studio Fabrics. 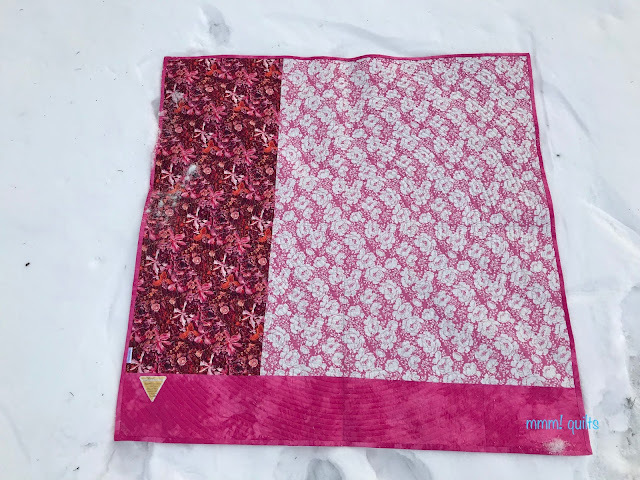 The medium pink is an older leftovers fabric, one that looks like a batik, but isn't. 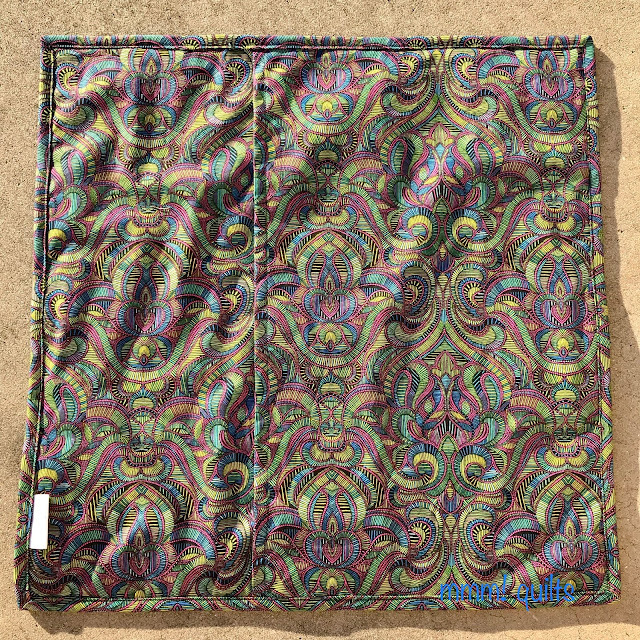 It has a hand like an AGF fabric. The lightest pink was a purchase, a Joel Dewberry on sale, bought a few months ago with no project in mind. 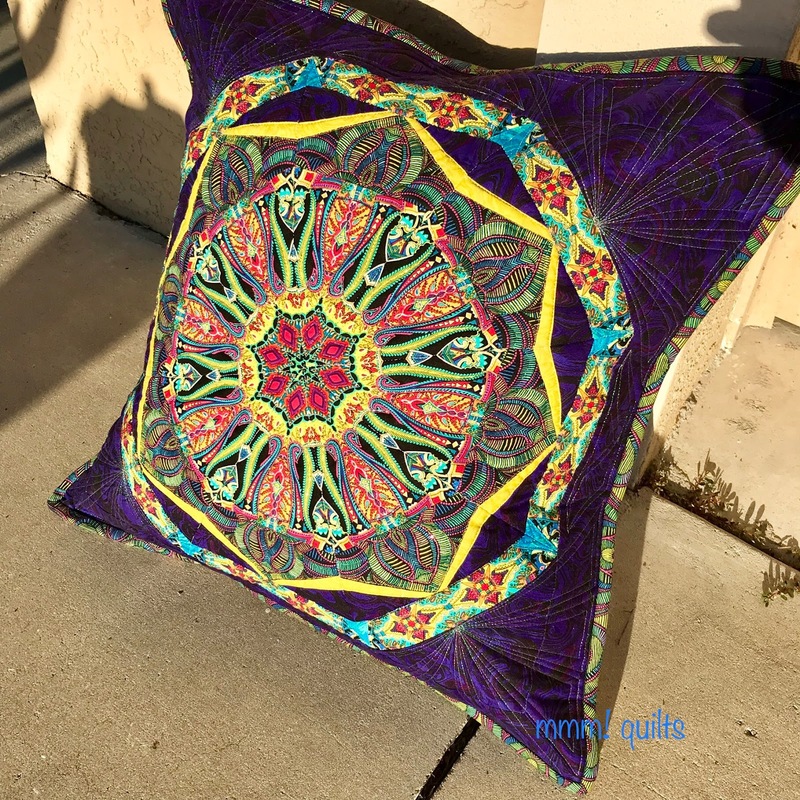 I love blending newer and older fabrics. 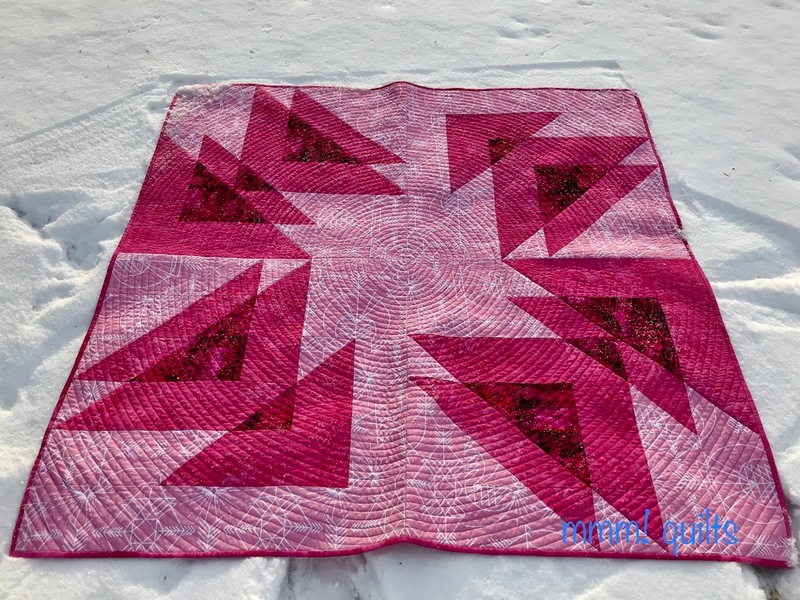 I love the sugary snow that ended up here and there on the quilt! Then I spied a fabric I just love: that Nancy Crow deep fuchsia and orange tropical print, but hesitated to use it on the back of a quilt (it's another leftover, from the same quilt as the pink batik-like one). Then I thought uh hello? This leftover has sat for how long waiting to become the front of a quilt for me? 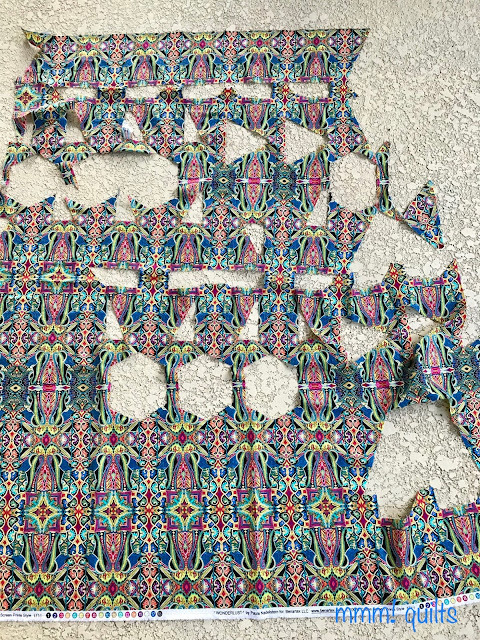 So part of the back it became. Still not enough, so I added nearly all that was left of the medium pink. Perfect. Binding fabric had to be the only fabric I had enough of, the medium pink. 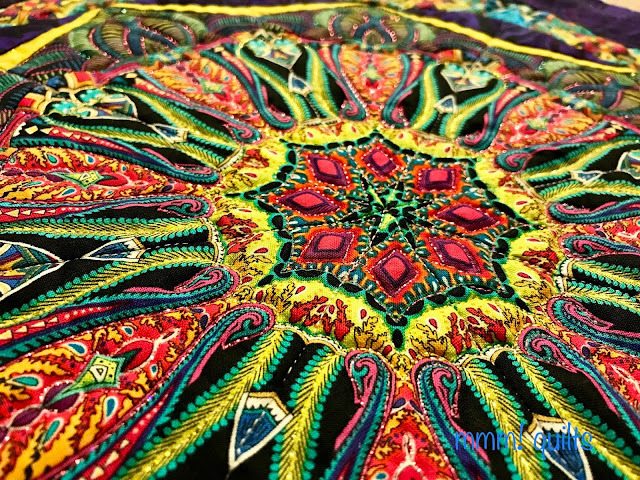 I sewed it to the front, and hand-stitched it down on the back, my favourite, albeit slowest, method. 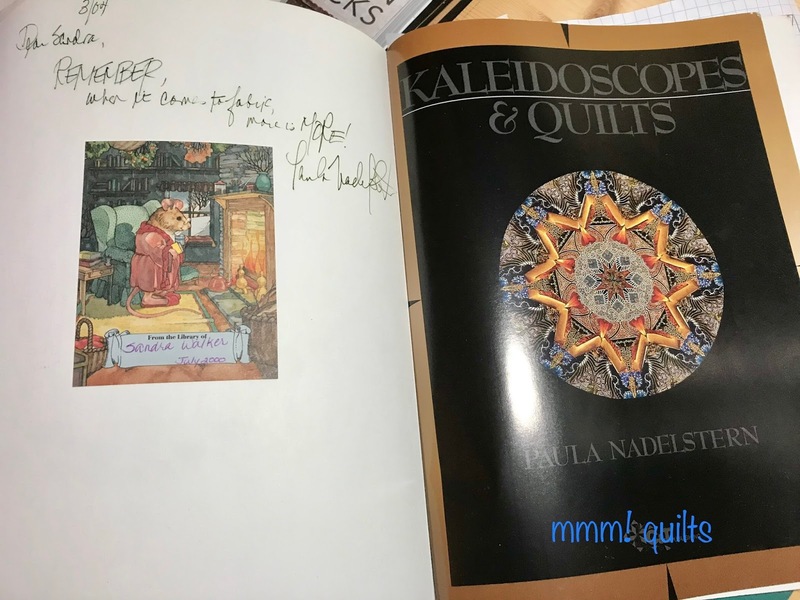 I always sign my quilts somewhere, but I didn't want to detract from the spiral, so I FMQ-ed just my initials in the one corner. I started the quilt along in October. I'd chosen two colours, first, my favourite, blues, and second, because I'd only just got the Joel Dewberry, the pinks. October is Breast Cancer Awareness month, so pinks seemed fitting. Then, near the beginning of October, and throughout the entire month and beyond, actors were coming forward with allegations of sexual assault and harassment against Harvey Weinstein. It got me thinking more about women. Our power. Our sisterhood. How we've been 'beneath' men forever. 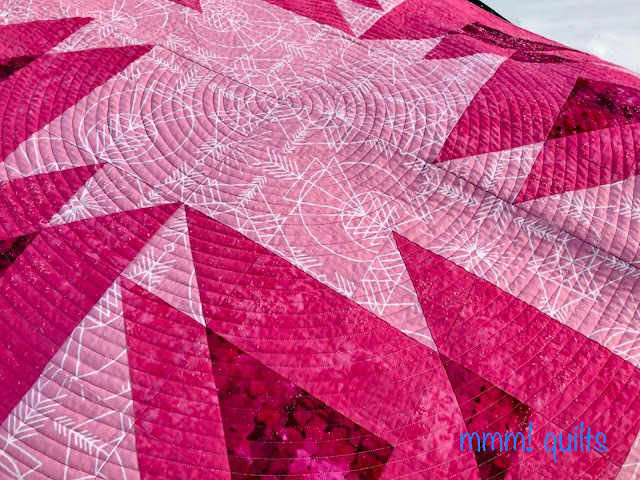 All through the making of this quilt during the quilt along, more and more women were coming forward with allegations against big names, men abusing their power, taking advantage of girls and women. Then, a BBC news presenter, Carrie Gracie, quit her job in China when she found out she wasn't being paid equally for equal work; she's since exposed the BBS for doing this repeatedly and secretively despite the Equality Act. E! host Catt Sadler quit when she discovered her male co-host was making double her salary... While finishing the quilt, the Larry Nassar trial was going on, and again, I was struck by the strength and resilience of women, many of his victims mere girls when he assaulted them, who found the courage to speak out and hopefully stop this behaviour, once and for all. 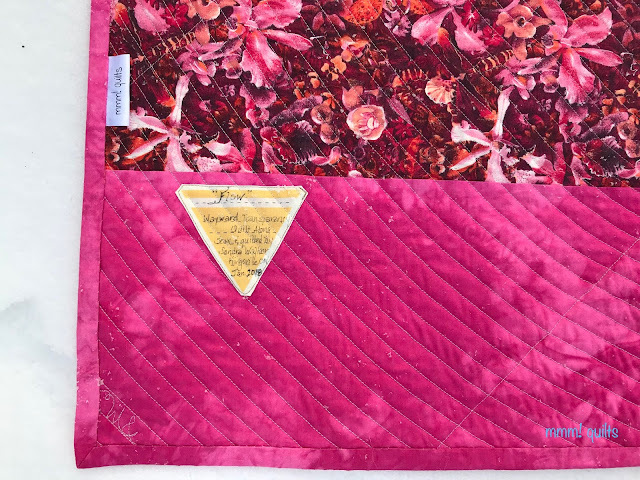 I'll never part with this quilt; it holds all these events in its vibrant pink heart. We were at our friends' house for supper last weekend, and I took the quilt with me to get a shot of it in the setting sun, Lake Erie in the background...the wind had other ideas, (it flew out horizontally in my quilt holder's hands!!) so I had to prop it against this tree and snap a quick shot. 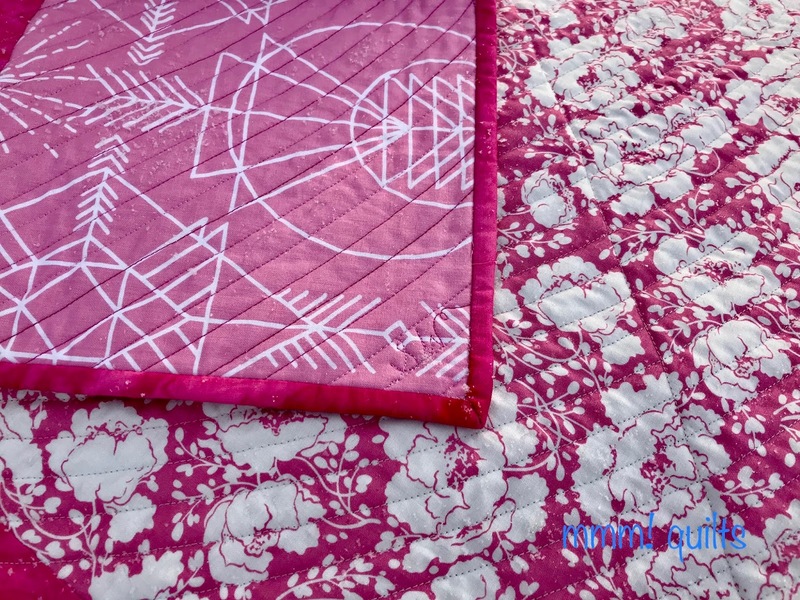 This quilt will go to yoga with me, already has done to one class, as my sit-upon quilt, its vibrant pinks reminding me of these courageous women, the flowing images reminding me of the birds I so love. Together, I think of how much lighter these women must feel, finally being listened to, believed, and finally seeing a monster gone from society forever. Just look at that incredible sky and sunset! The peaks formed by the winds blowing snow where the lake had started to freeze, dune-like. Tish 'n Wonderland - because this was on my Quilting Confessions UFO List and now it's off that list!